Lawrence Davidson says the US’s interests in the Middle East have diverged from Israel’s, with Washington prioritising the jihadist threat while Israel and Saudi Arabia see the jihadists as allies against Iran. It is often alleged that the basis for US-Israeli relations lies in “shared concerns and interests”. However, what really holds the relationship together is a systemic aspect of American politics: the system of special interest lobbying and the money that underlies it. That practice is just about as old as the country itself, and the Zionist lobby is a past-master at exploiting this system. With the Supreme Court rulings telling us that political spending and donations are forms of free speech, this rather perverse aspect of US politics is not going to change in the foreseeable future. 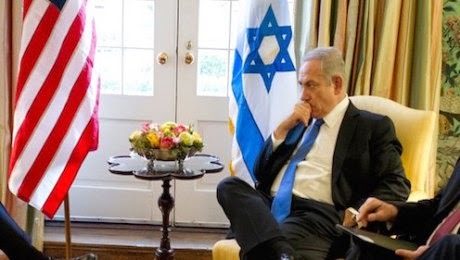 Therefore, one would assume that the present deterioration in relations between the Obama White House and Israeli Prime Minister Binyamin Netanyahu, as refreshing as it is, only represents a temporary glitch rather than a permanent breach in the alliance between the two countries. Well, perhaps, but getting the relationship back to the status quo ante may be harder than many expect. For example, on 29 March 2015 the New York Times reported that Hillary Clinton met Malcolm Hoenlein, the executive vice-chairman of the Conference of Presidents of Major American Jewish Organisations, to let him know that she wants to “improve relations with Israel”. That sort of statement is a standard prerequisite for anyone planning to run for the presidency in 2016. While there was no elaboration on the meeting coming from Clinton’s office, Hoenlein was quite forthcoming. According to him, “Secretary Clinton thinks we need to all work together to return the special US-Israeli relationship to a constructive footing, to get back to basic shared concerns and interests”. Wishful thinking aside, is that really possible? While Clinton is attuned to her political interest in keeping the Zionist lobby bipartisan in 2016, Hoenlein seems blind to the fact that the US and Israel no longer have any “shared concerns and interests” in the Middle East. In fact, looked at objectively, their “concerns and interests” are now in opposition. Since the terrorist attacks of 2001, a major foreign policy goal of the US government has been the pursuit and destruction of the Sunni extremist organisation al-Qaeda and its offshoots. To that end, the Americans invaded Afghanistan in 2001 and, more problematically, Iraq in 2003. The popular frustrations that resulted from those wars brought Barack Obama to the presidency in 2008 in order change tactics, but not the goal. In other words, the American public still approved of going after al-Qaeda, but was tired of the costly war-making approach characteristic of the Bush Republicans and their neo-conservative advisers. In truth, the Bush approach of invasion and “regime change” proved disastrously counter-productive. It caused the collapse of political stability in both Afghanistan and Iraq thus creating power vacuums that became breeding grounds for al-Qaeda. Obama rationalised the anti-al-Qaeda campaign. He ended the unpopular American occupation of Iraq and wound down the Afghan war. In their placeshe substituted drone warfare. Drones kill jihadists (and a lot more folks as well) with no great risk to American lives (though harm to the psychological health of the computer jockeys guiding these weaponised model airplanes is certainly a cost). You just remotely steer the drones to the place where your informants say your target happens to be (dinner party, family visit, wedding, etc.) and launch the drone’s missiles into that spot. Straightforward, except for the fact that, on average, drones kill 28 civilians for every enemy individual they target. In fact, that is what the US was doing in Yemen before the Saudis started their present, much more indiscriminate, bombing campaign (using real airplanes) throughout that country. The US’s allies in the region, specifically Israel and Saudi Arabia, had no problem with the drone attacks against al-Qaeda until 2011. That was when civil war broke out in Syria and when al-Qaeda and its offshoots showed up to fight against the embattled Assad regime in Damascus. Keep in mind that Assad was seen as an enemy of Israel. Syria called for help from Shi’i Iran and Hezbollah (also enemies of Israel). Soon the fighting spread across the border into northern Iraq, and the Iraqi government also called for help from Iran. From an American, anti-al-Qaeda perspective, things began to look really bad. Islamic State (IS, formerly known as Islamic State in Iraq and Syria – ISIS – or Islamic State in Iraq and the Levant – ISIL), an al-Qaeda inspired movement operating in both Syria and Iraq, declared itself the “new caliphate” and started to take and hold territory while cutting off the heads of anyone who got in the way. The Obama administration did not want to go back into another Middle East war (it still had residual troops on the ground in Afghanistan) but fortunately “boots on the ground” proved unnecessary. Why? Because there was another power right in the region willing to pick up the slack – a power which was just as much an enemy of al-Qaeda as the US was. That power was Iran. That meant that certainly by 2014 the United States and Iran understood that they were on the same side of a struggle that, in the US, represented a primary concern of the American people for the past 15 years. On the Iranian side the concern was even more immediate, because the aggressive behaviour of IS threatened Iran’s western border as well as its Lebanese ally, Hezbollah. Given this situation, the last thing both countries wanted was open hostilities with each other. That encouraged both parties to work hard to settle the dispute over Iranian nuclear power. Unfortunately, Israel, and by extension the American Zionist lobby, had lost interest in US concerns about al-Qaeda. Indeed, Tel Aviv had come to take the opposite point of view, seeing some merit in Islamic terrorists as long as they were Sunnis. One has to keep in mind that the Israelis are obsessed with Shi’i Iran and its nuclear energy programme, which Netanyahu has hysterically proclaimed a danger to the survival of Israel. From that point of view, any enemy of Iran is a friend of Israel – even if it is al-Qaeda. Indeed, in 2013 Michael Oren, then Israeli ambassador to the United States (actually, he grew up in West Orange, New Jersey), told the Jerusalem Post, “We always wanted Bashar Assad to go, we always preferred the bad guys who weren’t backed by Iran to the bad guys who were backed by Iran.” A year laterhe was at an Aspen Institute Conference and declared that Israel would prefer the victory of IS to the continuation of an Iranian-backed Assad. Nor have the Israelis been shy about acting on this preference. They have established a non-aggression pact with an al-Qaeda Syrian affiliate called the al-Nusra Front, cared for al-Nusra wounded in Israeli hospitals, and mounted attacks on the Lebanese and Iranian forces opposing al-Nusra. So, at least in Syria, Israel is actively supporting a group that had, in an early incarnation, attacked the US – one that represents forces that still pose a major worldwide risk to US security. Perhaps someone ought to update Congress on this point. This rearrangement of allies has made for strange bedfellows – not only the US and Iran, but also Israel and Saudi Arabia. And that brings us to the present situation in Yemen. Until the recent Saudi air strikes in Yemen, that country was the most active site of US drone attacks against al-Qaeda operatives. But the Saudis don’t see the war on al-Qaeda as any more important than the Israelis. Their main concern is, once more, Shi’i Iran whom they see as much more an enemy than either jihadists or Zionists. So the Saudis have thrown a temper tantrum over the recent deal over Iran’s nuclear programme. Part of their acting out was to tell Washington to pull its drone operators out of Yemen because the Saudis were going to bomb that country and particularly its Shi’i Houthi population to ruination. Ruination of course, means the creation of a power vacuum in Yemen, and just as in Syria and Iraq, power vacuums create the ideal breeding ground for extremist groups like al-Qaeda. Finally, there areunconfirmed reports that at least some of the munitions the Saudis are dropping on Yemen are made in Israel. Obviously, the real “concerns and interests” of the United States in the Middle East have noticeably diverged from those of Israel. As a consequence Israel is now loudly complaining that Washington has abandoned it. Well, Washington might do well to play the same game – to loudly complain about Israel’s traitorous behaviour. After all, the US gives that country a lot of money and weaponry and now the Israelis chose to support their benefactor’s enemy. Hopefully, the Israeli point of view will now prove to be a hard sell when it comes to the American voter. The recent agreement with Iran has created a new reality for the country’s foreign policy – one that is consistent with the popular desire for no further US military involvement in the Middle East. It is going to be difficult for bought-off politicians, even those allied with Fox TV, to throw everything into reverse and declare al-Qaeda an ally and Iran still the mortal enemy. Hopefully, that will translate into political failure in 2016 for anyone who wants to undo the new accord with Iran.